Preparation work is all covered in the price, including nail punching, staple removal and securing down of any loose boards. We can also fit new joists if required. Our hourly rate applies for removing bathroom fittings before flooring work, refitting them when the job is complete and ensuring they’re in working order. 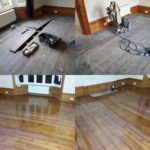 We understand that our customers are looking for the best possible finish once our wooden floor sanding services have been completed. That's why we will only use Osmo, Bona, Junkers and other top brands of equipment and supplies. 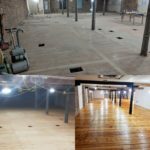 Absolute Floor Sanding offers an uncompromising floor sanding service and unparalleled expertise for every floor sanding project. This covers any commercial and domestic property in our region, which includes London, Brighton, Sussex, Essex and Surrey. 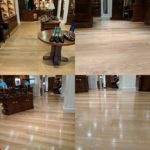 All our staff have been trained and have years of experience in both domestic and commercial wood floor sanding and refinishing, plus we ensure our entire team is consistently professional and friendly throughout any project. We also have public liability insurance for your peace of mind, but if you have any questions about what’s covered in our prices you can always ask us.